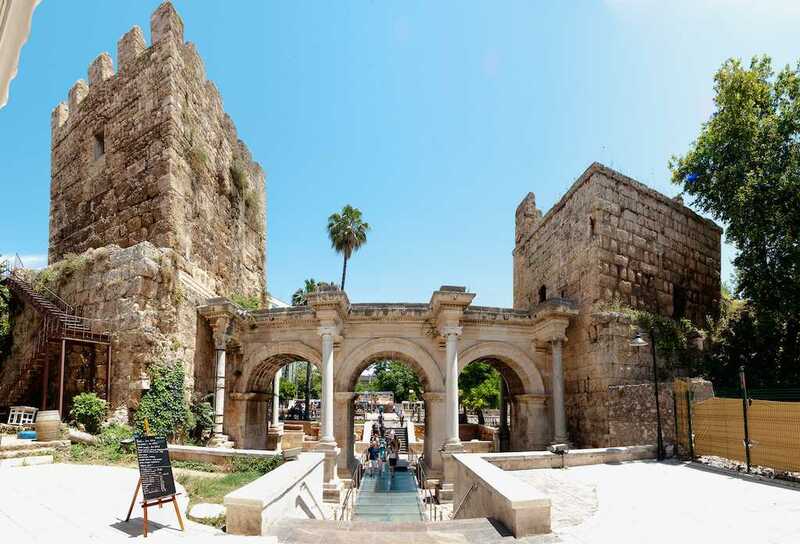 Kale içi-Inner castle of Antalya city center-is one of the most improtant sights of Antalya , old town of medieval Antalya and is really worth visiting due to its beauty and historical value. Although a large part of the interior and exterior walls destroyed, it surrounds the old part by the horseshoe shape castle called as “ Kale içi “ by the inhabitants of the city. 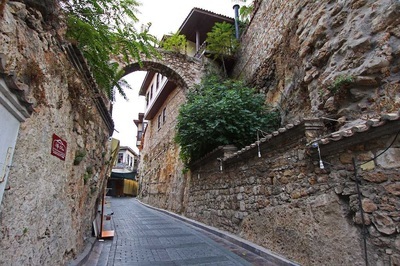 The walls were built and restored in Hellenistic, Roman, Byzantine, Seljuk and Ottoman periods as common work. The inner castle of Antalya has eighty watch towers in each fifty meter and there are about three thousands tiled-roof old Turkish houses in. As the ancient sources indicate that there used to be a pirate port with the name Korykos because of the natural structure of the cliffs where the ancient city of Kaleici marina is situated before Attaleia foundation. Korykos which means burrow of rock has made this port both important and asylum harbor in terms of its natural structure. The walls , ancient inscriptions on them are many stone blocks , were well protected and used until the 19th century. Today the walls of the towers, the ruins of Hadrian's Gate and Clock Tower are the only remains from which the long and nice city walls. Narrow streets within the city walls extend upwards from the harbor. Fluted Minaret , Cyrus Madrasa, Karatay Madrasa, Pier Mosque and Monopoly Mahmut Pasa Mosque are just some of the important historical monuments within the city walls showing the different time periods of old Attelia city. The breathtaking view throughout the day and night in the old town harbor has been a source of inspiration to the international painters, poets and writers. 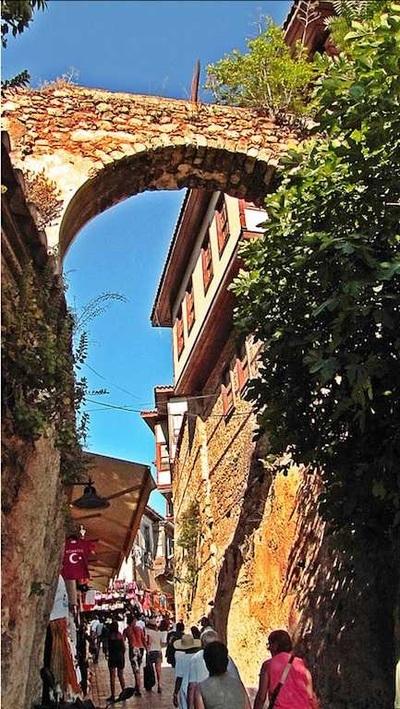 Kale içi, located the sea,on the west , the north and east sides by walls , running parallel to the main streets and avenues , are limited in lenghts so they were well protected during the different empires and kings. 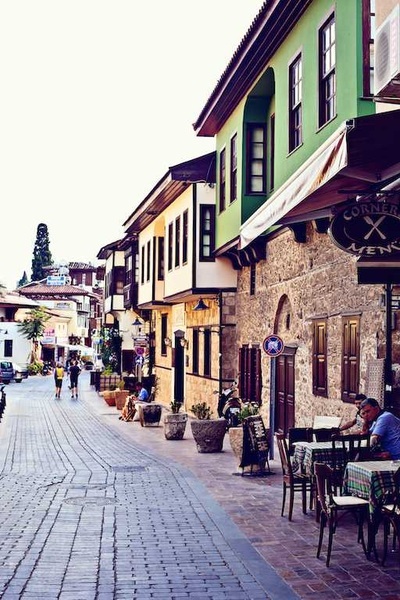 The houses in Kale içi region not only give an idea about the architectural history of Antalya characteristic structure, but also reflect the lifestyle of the region, customs and traditions in the best way. The houses in Kale içi region have two or three storeys with an intermediate floor. Lower floors with the rocky courtyards carrying the top floor are the service places where the guests were entertained. In this section, wells, quarries, barn and warehouse departments are located and the Daily life happens here. The high walls surrounding these departments give privacy as well as they protect the house. The internal staircases which connects the first floor mezzanine to courtyard provides a transition. The intermediate floor is used as the warehouse in summer while it is used as storage room in winter. The top floor rooms open to the hall connecting with each other sofa and each room opening onto the sofa is shaped to spend the daily life in better conditions without having any trouble. 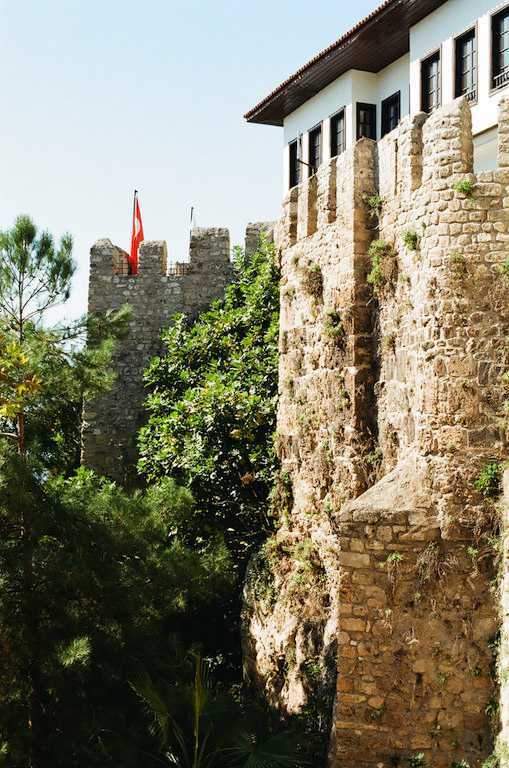 In 1972, Antalya Kale içi-inner castle region- and the old city neighborhood were declared as “protected area under restoration” by Property Supreme Council of Antiquities and Monuments of Turkey due to its unique texture and began restoring according a grand master plan year by year later by ministry of Turkey tourism. This master restoration was completed in ten years. In 1984, Kale içi restoration work was awarded as the Golden Apple Tourism Oscar by the International Association of Tourism Writers. Today , Kaleici , has become an entertainment center as the heart of Antalya city with butique hotels, pensions, night clubs, restaurants and bars. 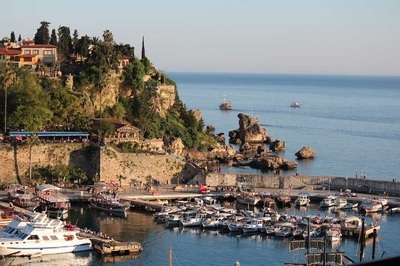 The tourists who spend a night over in Antalya want to stop here for eating or having fun.